Rumu is an Adventure, Casual and Puzzle game for PC published by Hammerfall Publishing in 2017. Fall in love with messy environments. The control of a lovely robot who should keep the environments clean, Will be given to you. This robot needs to stay safe during the cleaning duties. 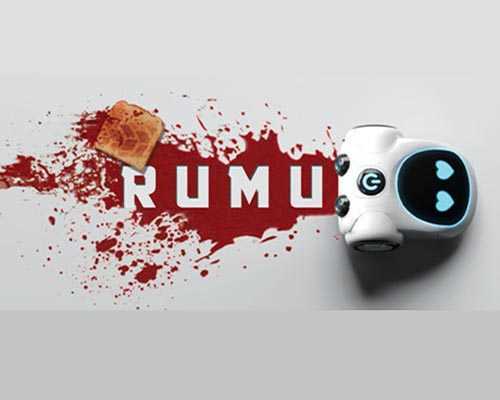 Rumu is a single player, point and click, narrative-driven adventure game about a robot vacuum cleaner becoming self-aware under the watchful eye of the house AI, Sabrina. You are RUMU – a robot designed to clean, and to love. You awake in a fully automated Smart Home. Your only companions are Sabrina, the house AI and watchful guide, and the home’s dysfunctional cast of semi-intelligent devices. It’s your job to keep the home spotless, cleaning up after your eccentric creators David and Cecily. When something draws you away from your home maintenance duties and into the hidden passageways and long forgotten rooms of the house, you’ll be faced with challenging moral dilemmas forcing you beyond your programming to uncover the truth about the love and loss of your elusive family. There are Point and click puzzles that lead Rumu down long-forgotten paths towards an unraveling mystery. A cozy isometric dollhouse environment that changes and evolves as you uncover the secrets of Rumu’s family is in this game too. 2 Comments ON " Rumu PC Game Free Download "
Unfinishable due to glitch on day 3.